Ottawa – Sept. 5, 2012 – The Canadian Research Knowledge Network (CRKN) is pleased to announce Dr. Ronald B. Bond as the recipient of the Ron MacDonald Distinguished Service Award for 2012. The award will be presented on October 3, 2012 in Halifax, Nova Scotia as part of CRKN’s Annual General Meeting. The award celebrates Dr. Bond for his dedicated service in advancing CRKN’s mission and objectives, and his vision and leadership in helping to establish new linkages across organizations and sectors. Dr. Bond is Professor Emeritus of English and Provost Emeritus at the University of Calgary, having served as that institution’s Provost and Vice-President (Academic) from 1997 to 2006. He joined CRKN’s Board of Directors in January 2005, and assumed responsibility then for chairing its external Advisory Board composed of prominent experts from various sectors, who would enrich CRKN planning by providing broad and international perspectives on emerging trends and strategic opportunities. Dr. Bond chaired the Advisory Board until March 2011, and continued serving on the Board of Directors until February 2012. 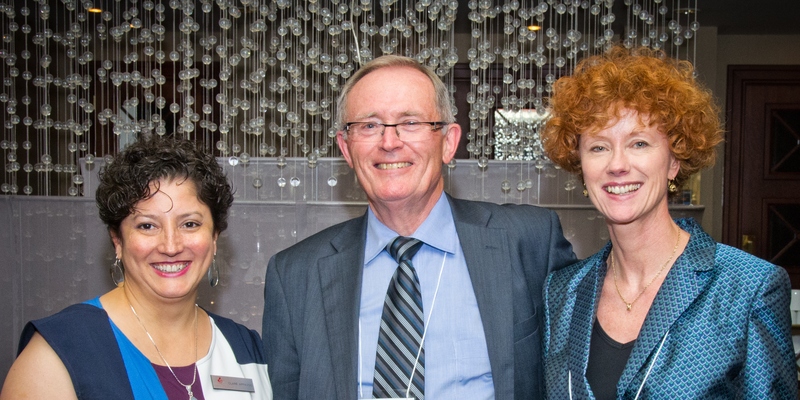 Under Dr. Bond’s leadership, the Advisory Board played a key role in helping CRKN develop and defend a proposal to the Canada Foundation for Innovation (CFI) for a $50 million project to expand CRKN’s digital content across social sciences and humanities disciplines. The successful bid to CFI resulted in a 2007 award that by 2010 had doubled CRKN’s services, transforming the research culture and fostering innovative work by social scientists and humanists across the country. Dr. Bond’s deep understanding of postsecondary education also prompted the Advisory Board to explore systematic linkages between university libraries and information technology services on a national basis. This work culminated in a partnership between CRKN and the Canadian University Council of Chief Information Officers (CUCCIO) to develop a business plan and secure funding for the Canadian Access Federation (CAF). As a result, the CAF is now a growing service operated by CANARIE and central to Canada’s digital infrastructure. Dr. Bond’s dedication to CRKN also included service on the Governance Committee, Executive Committee, and Values, Influence, Trends and Leadership (VITaL) task group. The impact of his contributions is evident from many vantage points: successful conclusion of a recent governance review and Board restructuring, development of performance indicators to inform CRKN decision-making and engagement with stakeholders, and ongoing review and application of best practices in governance and management. The Ron MacDonald Distinguished Service Award was launched by CRKN in September 2008 to honour the late Ron MacDonald, who was a member of CRKN’s Negotiations Resource Team from February 2000 to July 2007 and who played a key role in establishing CRKN’s collaborative programs and services. The Canadian Research Knowledge Network is a partnership of Canadian universities, dedicated to expanding digital content for the academic research enterprise in Canada. Through the coordinated leadership of librarians, researchers, and administrators, CRKN undertakes large-scale content acquisition and licensing initiatives, currently amounting to almost $100 million annually, in order to build knowledge infrastructure and research capacity in 75 of Canada’s universities.